Are you new to healthshare programs, or are just curious about how it works? An important question to explore is if healthshare programs cover prescription medicine. The cost of prescription medicine has progressively increased and are now often unaffordable. Here’s what you need to know about cost-sharing ministries and prescription medicine. Healthshare plans are not insurance, and therefore, do not function like insurance and are not regulated the same. Like insurance, members pay a monthly fee. That money then goes toward paying for the qualifying medical bills of members. Healthshare programs are managed by healthcare sharing ministries (HCSMs). 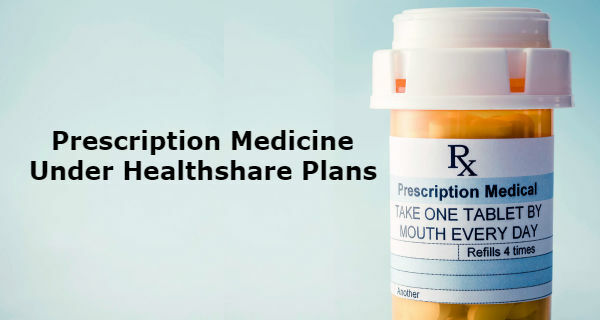 Are prescriptions covered under healthshare plans? Healthshare plans tend not to offer the same comprehensive coverage as traditional insurance. In fact, many healthshare plans do not cover things like preventative care and prescriptions. Of course, every program is different and has different rules. Here are a few of the well-known programs and their prescription coverage. Medi-Share does cover some prescription costs. Over a lifetime, members are able to share up to six months of treatment for each medical treatment. This means that if you have diabetes, for example, the cost of insulin is eligible to be shared for up to six months. So, if you have a chronic illness needing consistent prescriptions and cannot afford the cost of the medicine, then Christian Care Ministry probably isn’t for you. Prescriptions are not covered under Medical Cost Sharing. However, members have access to pharmaceutical discount that can help lower the cost of prescriptions. Tier one members pay up to $10; tier two pays up to $20; and tier three pays up to $50. In 1 – 3, the cost is not available for sharing. In tier four, members get medicines at the lowest available price, and that expense is available for sharing among members in the first 45 days after an acute illness at 50% and a maximum of $75 per prescription. Aliera does not cover prescriptions. However, they do have a supplemental discount program called RX Vallet to help pay for prescriptions. Members can get prescription medicines and diabetic testing through any retail pharmacy or choose to use Aliera’s home delivery service, which often offers more discounts. Prescriptions can be pre-ordered through their website, app,. or by phone. Make sure to check with your healthcare sharing ministry what their policy is when it comes to prescription coverage. If you do have questions about healthshares, check out our Frequently Asked Questions page or give us a call.